Cool! At least for us that couldn’t make it! Thanks a lot Mike and Johan! 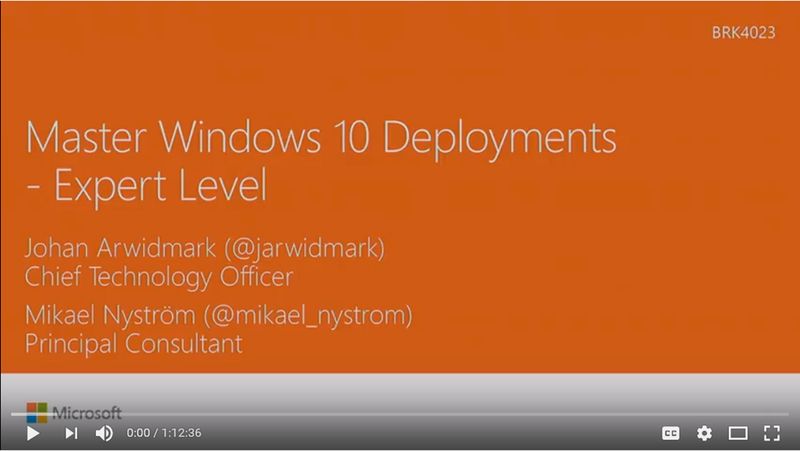 The dynamic Nordic duo of “O/S Deployment” Mike Nystrom and Johan Arwidmark had a great session during “Microsoft Ignite 2016” in Atlanta/US that was packed by 1000+ attendees and named “Master Windows 10 Deployments”.